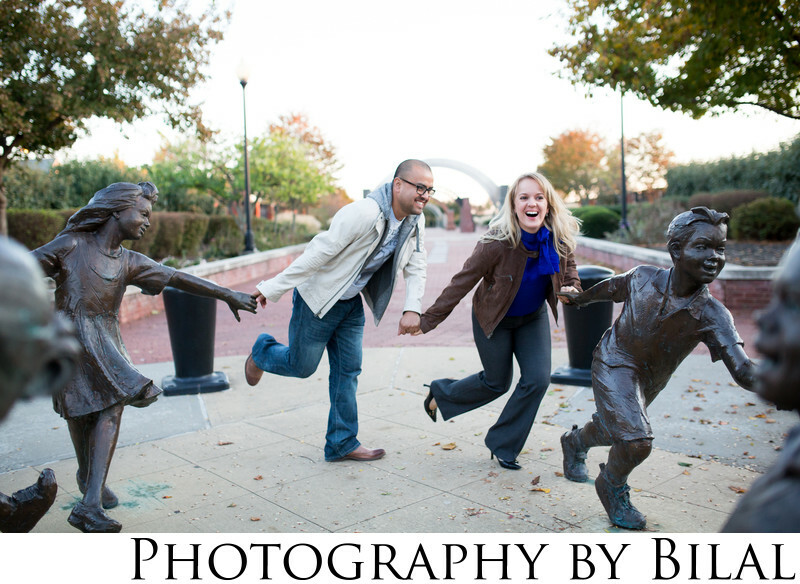 The first word that comes to mind when i see this engagement photo is fun! I love when I get to work with fun, playful couples that are full of energy. Kristine and Dario had an amazing energy and were so fun to work with. This photo was shot in the capitol of Trenton in waterfront park. Location: 1 Thunder Rd, Trenton, NJ 08611.